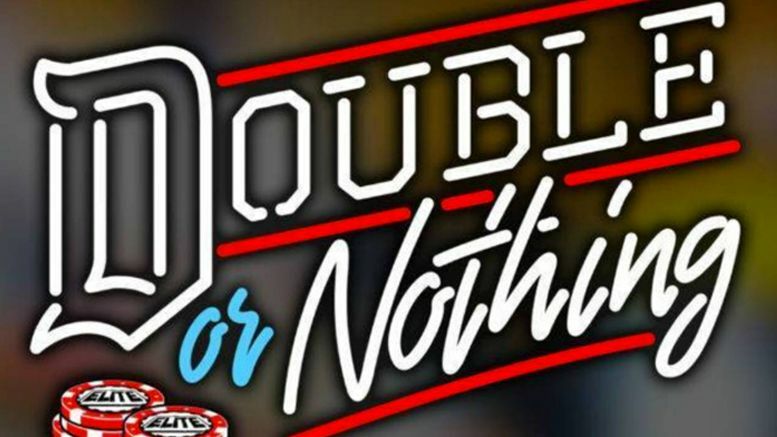 Tickets to All Elite Wrestling’s “Double or Nothing” event went on sale to the general public earlier today and quickly sold out. Nick Jackson — one of AEW’s Executive Vice Presidents — took to Twitter to commemorate the achievement. It’s worth noting that there were also pre-sale tickets sold, so it’s unclear exactly how many tickets were sold during each period and the exact length of time it took to sell out. Nonetheless, the sell out is still impressive. Double Or Nothing will take place at the MGM Grand in Las Vegas on May 25th. The venue has a capacity of under 18,000, but part of the arena will be taped off due to the production area. Four matches have been confirmed for the event so far: Kenny Omega will go one-on-one with bitter rival Chris Jericho, SoCal Uncensored (Christopher Daniels, Frankie Kazarian and Scorpio Sky) will face off with CIMA and two partners from OWE, The Young Bucks will take on The Lucha Bros., while Hangman Page will be wrestling PAC.